Today we’re announcing a new version of our Global Email Benchmark Report that we first released in September 2016! 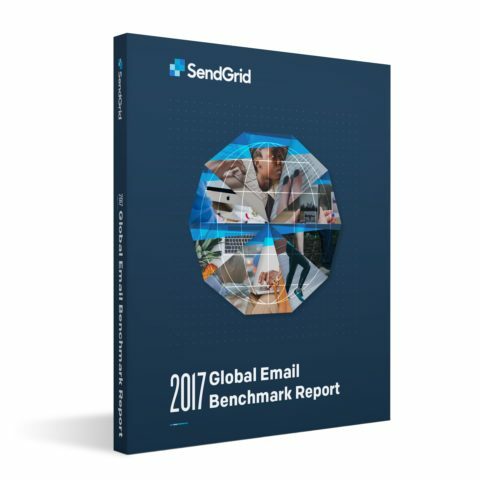 The new report, the 2017 Global Email Benchmark Report covers all of the same email metrics the first report did, but focuses on email sent during the month of January 2017. Monthly Send Rate (Send Frequency): An estimate of the average (mean) number of emails received by a sender’s recipients over the course of a month. Gender Ratios: These ratios represent an estimate of gender ratios based on the gender rates reported by the Social Security Administration for names which occur in some emails. Mobile Ratios: These ratios are the distinct count of mobile/non-mobile devices seen divided by the total distinct count of devices seen. Each device is counted only once per recipient. Open and Click Rate: These rates are the ratio between the total number of opens or clicks divided by the total number of emails delivered. These rates include duplicate opens, clicks, and deliveries as they occur. Unique Open Rate and Unique Click Rate: These rates are the ratio between the first open or click and the total number of emails delivered. These rates do not include duplicate opens, clicks, and deliveries. Click-to-Open Rate: This is the ratio of unique clicks to unique opens; duplicates are not counted. This answers the question: “Of the emails that were opened, what percentage were clicked?” It can be thought of as a proxy for content quality. The Technology industry saw one of the largest increases in open rate and unique open rate, which could be a result of lowering the number of messages they send each month. 8 industries were desktop dominant in 2016 vs. only 2 in 2017 (Insurance and Government). Only insurance went in the opposite direction of the trend, with a decrease of mobile usage from 50% to 48%. Finally, we took a look at the countries our customers send email to most often, as well as the inbox providers and devices that are used in those countries to access and view email. If you’re ready to determine the effectiveness of your email program and see how the email landscape is changing, download the 2017 Global Email Benchmark Report today!